Mika, L.L.C. 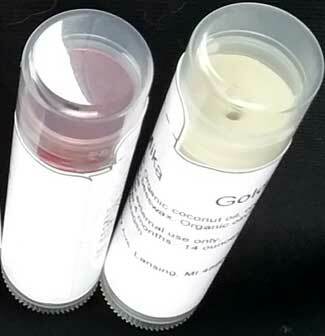 began when Linda Oberlitner had a desire for an all natural lip gloss and with colors that work well with her complexion. She learned to make lip gloss, and then her lip gloss adventure began! Her adventure became a passion for combining all natural, organic ingredients to achieve the best feel and color. For two years Linda had experimented with many, many different types of ingredients. She finally arrived at what she believe is the perfect combination for vibrant, yet natural color, with balanced moisture lip gloss. Linda decided to turn her passion into a business and has ensured that all ingredients are approved by the F.D.A. Linda hopes you enjoy wearing Mika Lip Gloss as much as she does in natural, organic lip color! The Mika Organic Lip Gloss colors are available in beige, burgundy, brown, gold, light brown, pink, red and silver. Buy Mika Organic Lip Gloss Here!